The Toronto Raptors will be without Kawhi Leonard against the Washington Wizards on Wednesday night as the three-time All-Star deals with a sore knee, the team announced. Per ESPN, it's not clear when the 27-year-old suffered the injury or what his recovery timetable is expected to be. Leonard played 34 minutes against the Brooklyn Nets on Monday night, dropping 30 points and eight assists in a 127-125 victory. The Raptors have been careful not to overwork Leonard after he appeared in just nine games last season. He's routinely been held out of the second game of back-to-backs. Leonard has also dealt with minor injuries early in the year. He missed two games against the Los Angeles Clippers and Golden State Warriors in December with an ailing hip. 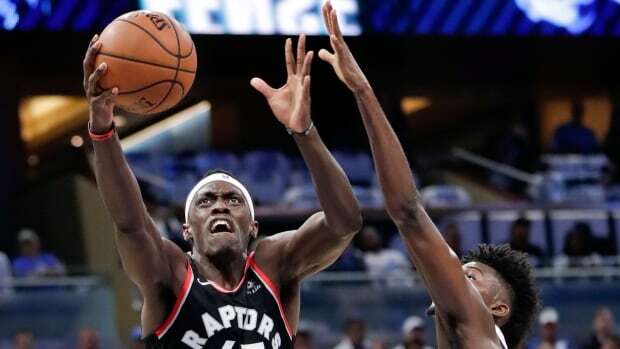 It's a testament to Toronto's depth and head coach Nick Nurse's ability to maximize his talent that the team hasn't skipped a beat without its best player. The reigning Atlantic Division champions (42-16) are tied for the most wins in the NBA, although they trail the Milwaukee Bucks (42-14) by one game for the top spot in the Eastern Conference.